It’s becoming an all too familiar story. Unhappy Uber drivers go on strike. There’s minor unrest when striking drivers force others off roads. There’s usually a planned protest at a prominent city park, where driver association leaders give fiery speeches. The strike fizzles out in around a week, and things are back to normal. Hyderbad, Bangalore, and now Delhi have all seen this exact version play out over the last month. Drivers were protesting reduced incomes after Uber slashed incentives and fares once it got an initial critical mass of drivers. But incredibly, these strikes aren’t an India-only phenomenon – Uber drivers have been striking across the world, often with remarkably similar demands, and remarkably similar outcomes. Here’s a list of places where Uber drivers have gone on strike in the past two months. 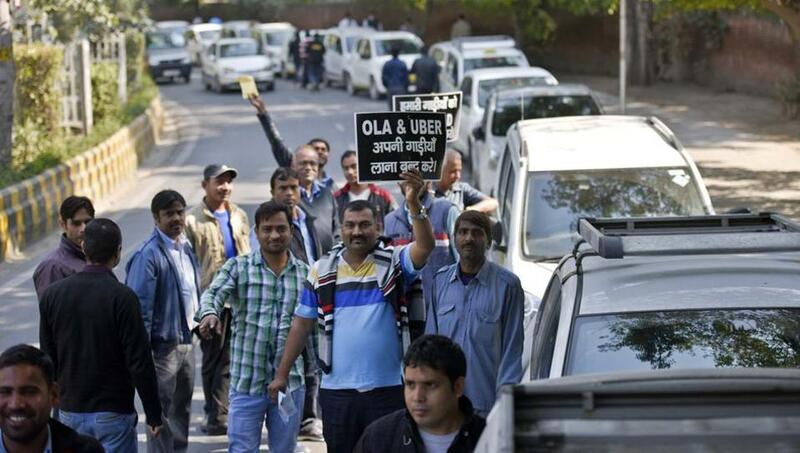 Along with Delhi and Gurgaon, Uber drivers are currently on strike in Qatar. “Hundreds of Uber drivers in Qatar go on strike after price cuts,” reported Reuters today. Uber, which started operations in Doha in 2014, has in recent months cut fares by 15-20 percent for passengers amid growing competition from local firms. “If they [Uber] don’t raise fares and treat drivers better we have many other platforms we can go to. I have a family to support,” a driver said. Just two months ago, Uber drivers had gone on strike in Paris. “Uber drivers demanding higher fares blocked roads to Paris airports,” reported the Telegraph. Uber cut the minimum fare to €5 last year, because of what the company said was heightened competition from other taxi apps. Drivers, some of whom say they earn as little as €3.75 an hour, want it raised to €8. Clashes broke out between strikers and drivers who kept working in earlier protests. In November, Uber drivers had gone on strike in London claiming they weren’t able to make minimum wage while driving for the company. 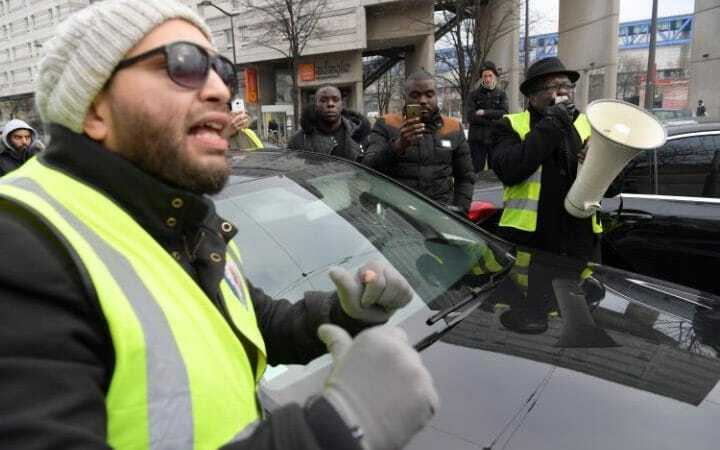 “I am working 70 to 80 hours a week, which comes out at £4 an hour which is below the minimum wage,” said Ibrahim, 30, an Uber driver for 18 months. 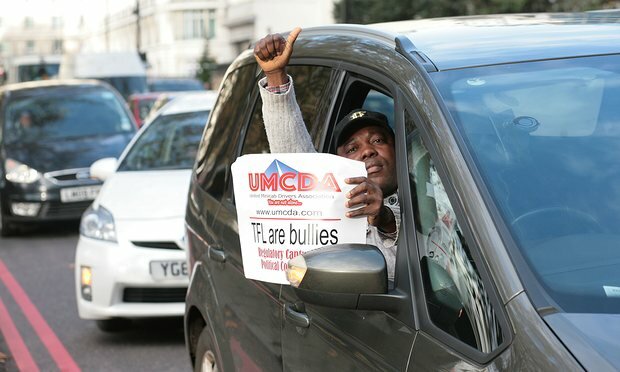 At least 100 Uber minicabs drove at walking pace down a busy London road to highlight their plight. Unhappiness over incomes is clearly something that’s not unique to Indian drivers. Uber had used a common playbook to launch across to world – give out generous fares and incentive to get drivers on its platform. These incentives were unsustainable, and Uber hoped to gradually pull them back once it had enough traction. But drivers worldwide have been reluctant to see their incomes drop, and have voiced their displeasure in no uncertain terms. Uber, for its part, has deftly managed the unrest around the world – so far. It continues to run in all the cities which have witnessed strikes, and bounced back within a week in Bangalore and Hyderabad. But it can push its luck only so much. Its driver-partners form the foundation of its $60 billion dollar empire. And them being pissed, all at once, could be an existential threat for the world’s most valuable startup.